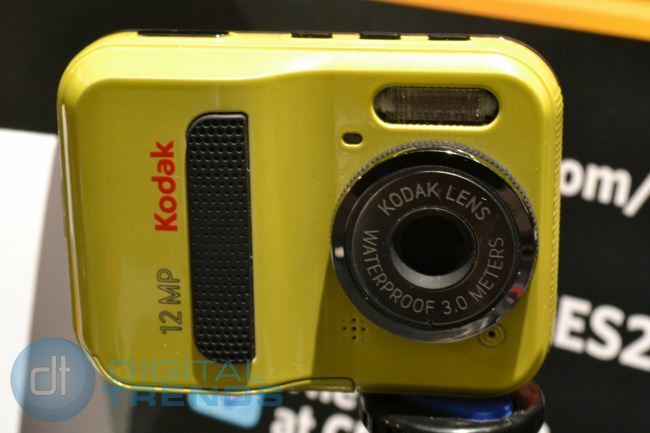 This morning we took a look at Kodak’s new cameras and video cameras, which are targeting a younger, less-experienced demographic. Its EasyShare line now includes a touch screen device, a miniature model, and sport edition. The EasyShare Touch features an intuitive 3-inch touchscreen display that also lets you tap to take photos. Of the additions to this lineup, it’s easily the most powerful camera without being challenging for most consumers. As can be expected given its target audience, the camera features a dedicated share button for extremely easy auto-upload to social networking sites. 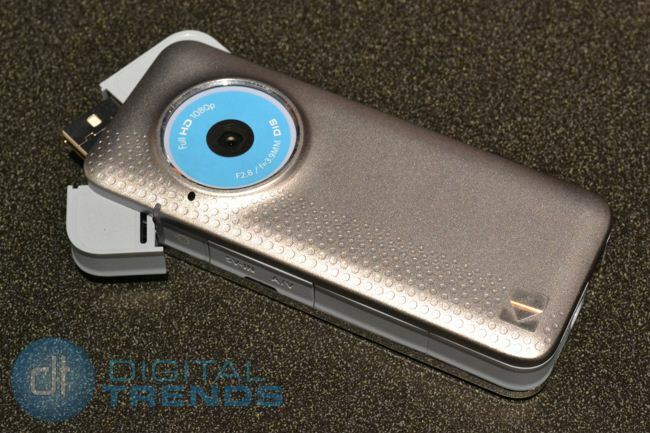 It will be available in April for $149.95. The EasyTouch Mini lives up to its name and fits in the palm of your hand. It’s smaller than we even expected unabashedly makes a play for the tween-teen demographic with its front panel mirror, which lets photographers know when they are cutting themselves out of a self-taken picture. It’s a fairly bare-bones machine, with sparse built-in features (including face recognition and smart capture, but for its diminutive size and intention to be used primarily by 12 year olds, simpler and smaller is probably best. It will ship in March for $99.95. 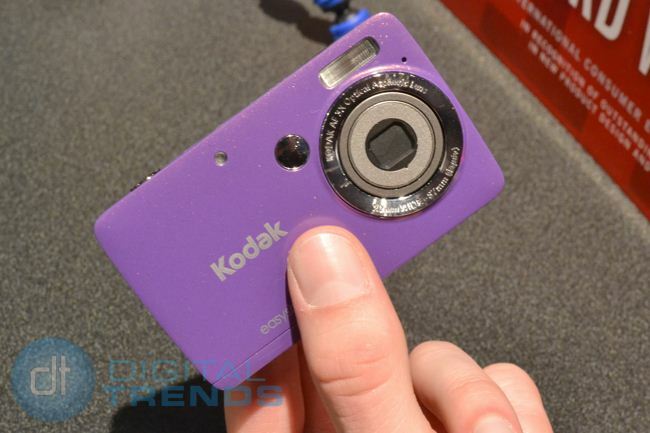 In addition to 3D and GPS-enabled cameras, we’ve also seen a huge increase in durable handhelds and Kodak of course has its own. 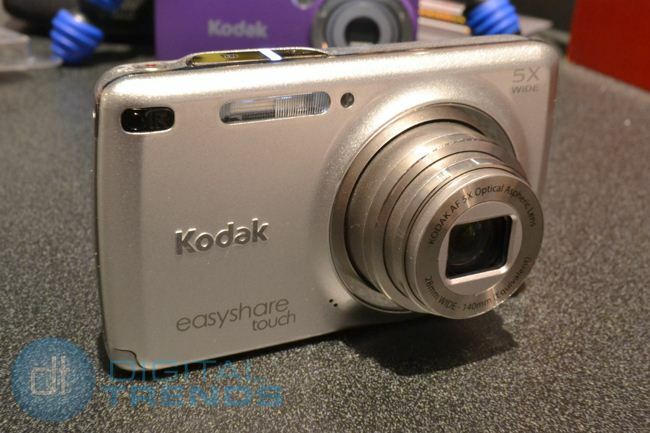 It’s a 12 megapixel machine with a fixed focus lens and that dedicated share button included in the EasyShare Touch. You can subject the EasyShare Sport to most any element. It also hits this spring for $79.95. And there were other additions to its durable, sport devices. The Playsport and it’s slimmer, pared down Playfull have a good, heavy feel to them without being bulky in your pocket. We showed you how much the Playsport can withstand, and all without sacrificing picture quality. The Playsport is available in March for $179.95, and the Playfull at the same time for $149.95. Of course, it wouldn’t be this year’s CES if something had no 3D element involved. 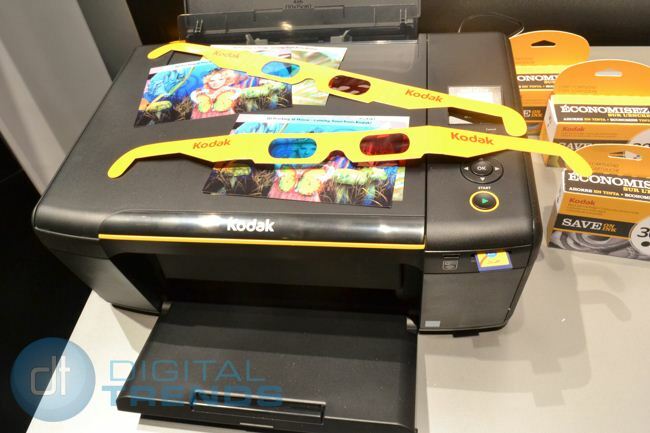 Kodak will debut new software for its printers that will print 3D photos. Users will take two separate pictures, send them to the printer, which when in 3D mode, will create the “old-fashioned” type of 3D image that requires the archaic red and cyan paper glasses. Sure, it’s not the most innovative use of 3D we’ve seen in photography this year, but it’s definitely user-friendly and fast. Kodak told us to expect a second quarter release, and wasn’t able to say how the glasses would be made available.